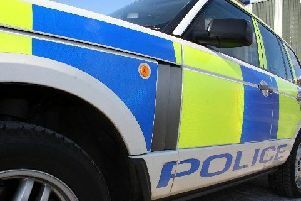 Here is your weekly round-up of crime for Midlothian, as reported by Police Scotland. On November 19, an attempted break in to a business property in Woodburn Avenue was discovered. No entry was gained and police enquiries are continuing into the incident. On November 20, officers traced and arrested a 35 year old male in the Woodburn road area who was subjected to an outstanding apprehension warrant. He was held to appear at court. On November 26, police responded to reports of a male attempting to enter vehicles in the Woodburn avenue area. A 32 year old male has been arrested and charged. A report has been submitted to the Procurator Fiscal. On November 22, officers attended reports of a disturbance in the area of Gardiner Place. A 33 year old male was arrested for breach a non-harassment order and held to appear at court. A 35 year old female has also been reported to the Procurator Fiscal for threatening and abusive behaviour. On November 22, officers searched a property under warrant in Dundas Gardens. A 36 year old male and 37 year old female have been charged, and reported to the Procurator Fiscal for fraud, counterfeit currency, and drug possession offences. On November 26, a break-in was discovered to a building in the area of Barleyknowe road, Gorebridge. Property of significant value was removed. Police enquiries into the incident are continuing. On November 19, officers on patrol on the A702, recovered a small amount of cannabis in the possession of a 24 year old male. A report has been submitted to the Procurator Fiscal. On November 20, officers attended the reports of a disturbance in the area of Monksrig Road. A 79 year old male has been reported to the Procurator Fiscal. On November 22, officers searched a property under warrant in Imrie Place. A quantity of stolen property was recovered during the search. Police enquiries are continuing. On November 23, officers on patrol traced a 41 year old male in the Eastfield drive area, found to be in breach of bail curfew conditions. He was arrested and held to appear at court. On November 21, officers on patrol in the area of Lawrie Terrace recovered a quantity of controlled drugs in the possession of two men. Two males aged 38 years have been reported to the Procurator Fiscal for possession and supply offences. On November 22, officers attended reports of persons breaking into a property in the Edgefield gardens area. Two males aged 24 and 31 years were arrested and reported to the Procurator Fiscal for housebreaking and breach of bail curfew offences. On November 22, officers on patrol in the Eskbank Road area stopped a vehicle found to have no insurance. The vehicle was seized and the driver reported to the Procurator Fiscal. On November 22, officers on patrol in the area of Sherwood Industrial Estate stopped a vehicle found to have no insurance or MOT. The vehicle was seized and the driver reported to the Procurator Fiscal. On November 24, officers on patrol in the area of Lasswade road, recovered a small amount of cannabis in possession of a 24 year old male. A report has been submitted to the Procurator Fiscal.